We are obsessed with Taco Tuesday at our house. It is “Awesome”! 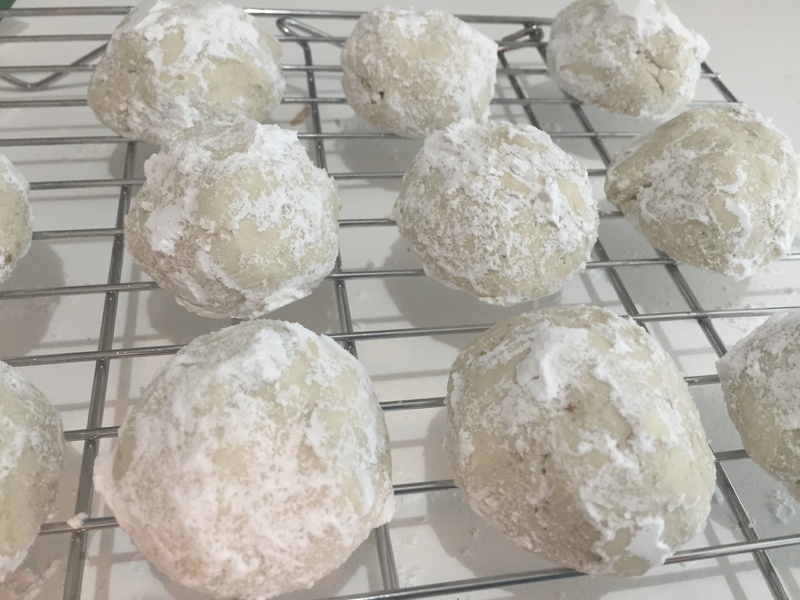 I wanted a dessert for this weeks taco night and decide to make Mexican Wedding Cookies. I love these crumbly balls of goodness. Of course this version is free of nuts, gluten and dairy. I used raw pumpkin seeds, but roasted would be good too. I’ve made these before with sunflower seeds and they were wonderful. I like to enjoy these cookies for an afternoon snack with coffee. I also love that these are made completely in the food processor. It makes these really easy to make. The longest part of this recipe is the cooking time. But they are worth it. Enjoy! Mexican Wedding Cookies for Taco Tuesday. Place pumpkin seeds in bowl of a large food processor. Blitz until the seeds turn into a fine meal. Add the rest of the ingredients to the food processor, and pulse until combines into dough. Line a baking sheet with parchment paper or silicon liner. Dust hands in the rice flour and form dough into 1 inch balls. Place balls on prepared cookie sheet at least one inch apart. Bake for 30 minutes, or until balls are dry. Remove from oven and cool for ten minutes. Roll cookies in powdered sugar, then allow cookies to cool completely.